We started following the growth of the social photo-sharing site, Pinterest, last year, and soon knew it was going to be something special. It’s clear now, more than 6 months later, why. It’s the fastest growing website EVER. 10 million users in 9 months is crazy-impressive. So, we got to work writing code to integrate it with SocialAdr. It wasn’t exactly easy, because we wanted it to function in a way that would mimic a person’s natural usage of Pinterest. But we think we’ve done a decent job in its initial release. What do I need to do to get my URLs promoted on Pinterest? If you already have a ‘Lazy’ account, absolutely nothing. If you don’t, you just need to upgrade. Free members cannot receive Pinterest submissions. Where can I view the history of Pinterest submissions I’ve received? How many credits does it cost for each Pinterest submission? It currently costs 5 credits, but we have plans to change it later on to be dependent on the # of followers the Pinterest account has. 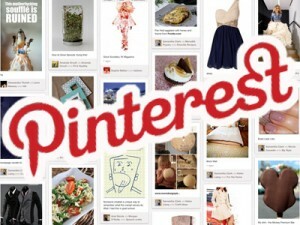 How do I link my Pinterest account to SocialAdr? Head over to the Setup Wizard page and enter your Pinterest email and password. If you don’t already have an account, you’ll have to either request an invite, or get a friend to send you an invite. How many credits do I earn for each Pinterest submission? You’ll currently get 0.1 credits, but we have plans to change it later on to be dependent on the # of followers your Pinterest account has. Where can I view the history of Pinterest submissions I’ve made?